“How do I get to Forks, Washington?” is one of the most common questions we get when people contact the Forks Visitor Information Center. Forks is about 3.5 hours from Sea-Tac International Airport. And there are many ways and routes to get from Sea-Tac to Forks. With some planning, it is very easy to get here by rental car, bus shuttle and even charter flight! I recommend taking the Tacoma Narrows route from Sea-Tac to Forks. This takes you I5 South to 16W to 3N, then turn left and go over the Hood Canal Bridge on 104W, then take 101N and stay on that until you get to Port Angeles, where you will turn left (follow sign to Forks), then you will stay on 101 until you reach Forks. These directions can be downloaded on Google Maps. For other routes, please see below. You can take the Clallam Transit Strait Shot from Bainbridge Island Fairy to downtown Port Angeles. More information can be found on this link. When you arrive in Port Angeles, you can rent a car downtown (at the Olympic Bus Lines office, next to the Transit Center) or take Clallam Transit (see below) to Forks. When you arrive in Port Angeles, you can rent a car downtown (at the Olympic Bus Lines office, home of the Dungeness Line) or take Clallam Transit (see below) to Forks. Clallam Transit – This is public transit and operates limited hours. The Strait Shot runs daily, but there is no regular bus service on Sunday and some holidays. Budget Car Rental – There is an office in Port Angeles that is locally owned by the Olympic Bus Lines so make sure that if you rent a car, you call them, and not the nationwide number. They have rental offices in downtown Port Angeles and at the airport. Their phone number is 360-417-0700 or 800-457-4492. Clallam Transit and Rite Bros. Aviation are members of the Forks Chamber of Commerce. Once you arrive in Port Angeles, there are a few “Twilight” spots to check out like Bella Italia (where Edward and Bella had their first date), the movie theater (currently in transition) and the book store – all featured in the books. 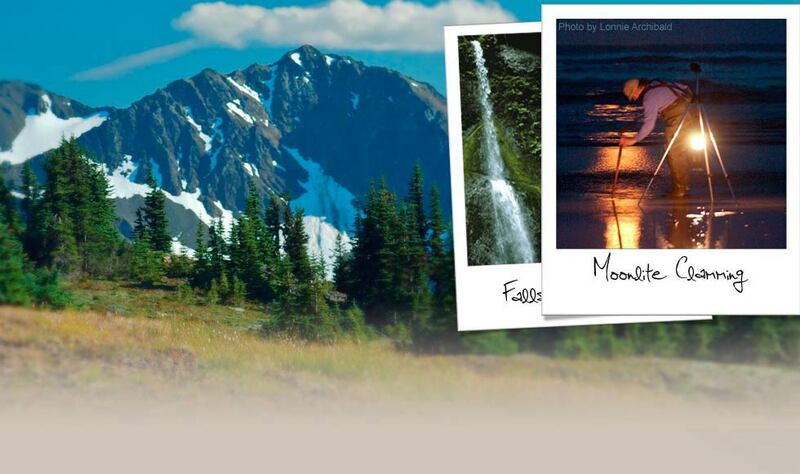 You will then travel the 56 miles to Forks where you will see the beauty of Lake Crescent while traveling through the Olympic National Park and Forest. Please see information below regarding road construction around Lake Crescent. This route takes you through Olympia and Aberdeen, then up along the coastline. These directions can be downloaded on Google Maps. Take I-5 north towards Seattle. Exit Hwy 12, then Hwy 101. These directions can be downloaded on Google Maps. PORT ANGELES, WA: On Wednesday, March 14 Olympic National Park and Washington State Department of Transportation (WSDOT) are partnering to remove a hazard tree from the Lake Crescent section of Highway 101 near Barnes Point. Beginning at 9:00 am on March 14, WSDOT will close Highway 101 at milepost 225.5 just west of Barnes Point. Pacific Northwest Tree Service will then cut a Douglas fir snag over 150 feet tall. WSDOT crews will be onsite with their heavy equipment to clear the roadway. Once the road is clear for alternating single-lane traffic, WSDOT will allow alternating traffic through until the roadway is completely cleared. The duration of the closure could last an hour or longer and will depend on the amount of clearing needed. To avoid the delay, drivers should plan to be through the area prior to 9:00 am. For information in real-time check the WSDOT Traffic Alert website at https://www.wsdot.wa.gov/traffic/trafficalerts/. 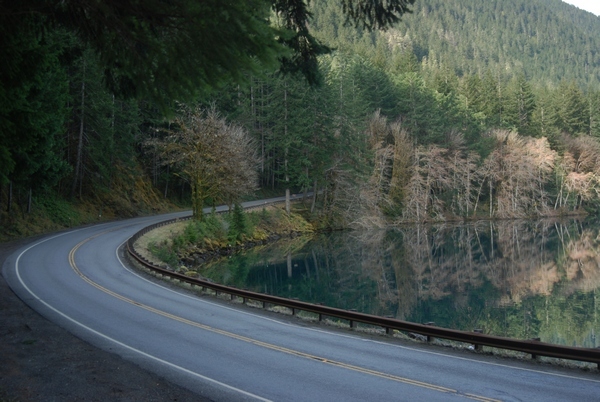 Strider Construction will resume road work on the Lake Crescent section of Highway 101 on Thursday, March 15. The work for 2018 includes erosion control, subexcavation, milling, and paving beginning on the eastern end of Lake Crescent and working west. Expect up to half-hour delays during weekday work hours and slower travel through the construction zone. Work hours will vary according to season and daylength. From April 2-September 21, road work is restricted to two hours after sunrise to two hours before sunset. Work will occur on weekdays only and will not be scheduled on holidays or weekends. In order to complete necessary subexcavation and deep patching, the contractor is planning a series of four-hour daytime delays and six-hour overnight delays. These longer delays are not permitted during the busy summer season between Memorial Day and Labor Day. The first planned six-hour overnight delays for this construction season are scheduled for March 19-21 and March 26-28 (Monday through Wednesday) from 10:00 pm to 4:00 am. During these six-hour overnight periods, Highway 101 eastbound from Forks will be open to the turn for Barnes Point where Lake Crescent Lodge is located. Highway 101 westbound from Port Angeles will remain open up to mile marker 232/East Beach Road. Travelers to and from the western side of the peninsula can use SR 112/113 as an alternate route during the delay. The first planned four-hour delays for this construction season are scheduled to begin Monday, April 2 from 9:00 am to 1:00 pm. The contractor is planning to use the four-hour delays daily Monday through Thursday, weather permitting, until all 20 of the allotted four-hour delays are utilized. The location of the work for these four-hour periods will move as the deep patch work progresses with more information forthcoming. Outside of the scheduled 4-hour delays drivers should continue to expect up to half-hour delays during weekday work hours. This project is being managed collaboratively by the Federal Highway Administration and the National Park Service. An updated outline of the yearly schedule for U.S. Highway 101, is provided below. Expect half-hour delays during weekday work hours, with short delays after-hours to accommodate alternating single lane traffic. Limited 4-hour delays (9am-1pm Mondays through Thursdays only) and 6-hour overnight delays (10pm-4am Mondays through Wednesdays only) may be scheduled and will be announced in advance. Limited 4-hour delays may be scheduled (9am-1pm Mondays through Thursdays only) and will be announced in advance. Drivers can find updates and maps of the project area with current project information on the park website at go.nps.gov/LCHwy101Project. The Federal Highway Administration website for this project is available at https:/flh.fhwa.dot.gov/projects/wa/lake-crescent/.